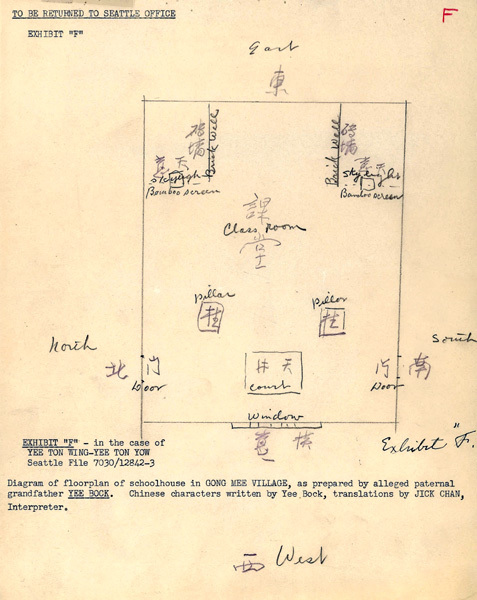 As I learned at the Chinese Historical Society in San Francisco, immigrants we’re sometimes asked to draw maps of their village or floorplans like this to prove they were who they said they were, i.e. related to someone in the country. 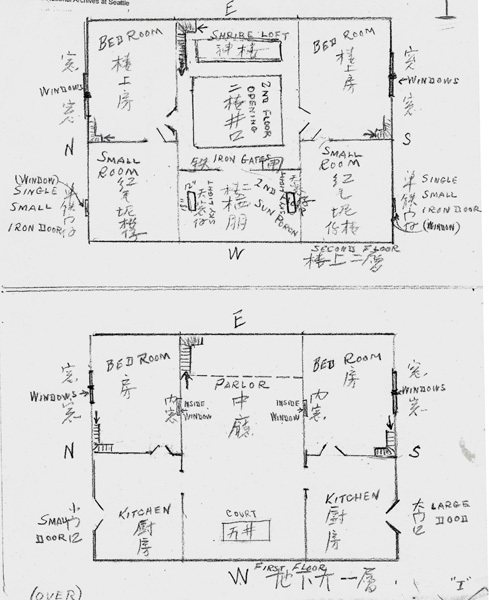 I wonder, did these nine floorplans match? The floor plans did not match exactly but enough for him to get admitted. I will gives more details about the file and the floor plans when the blog resumes in November.